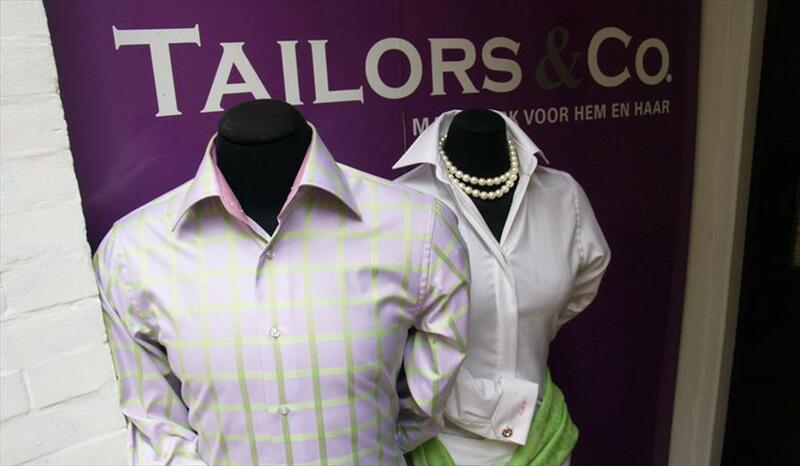 Tailors & Co - Ladies fashion in Utrecht. The shop’s assortment is based on tailor made suits, and is suitable for both ladies and gents. Hand made blouses, shirts and shoes are also to be had and for accessories there are belts, shawls, ties and cufflinks. In this shop you can choose your own desired material and have whatever clothes made to measure. 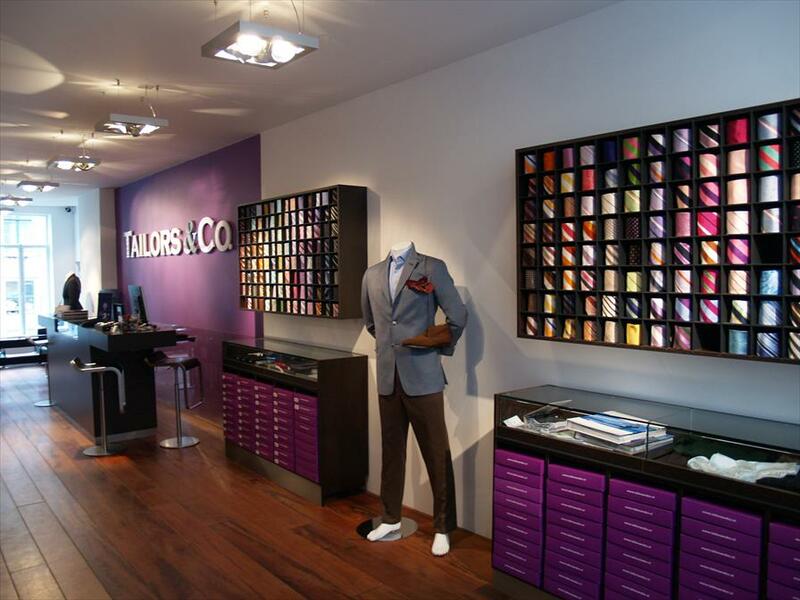 The personal from Tailors & Co. see themselves not only as sale persons but as advisors, because they do not sell “off the peg”. During the 30 to 60 minutes that the personnel are busy with you they are actually complying with you wishes and needs. A bridge is built with you and the sales person. This, together with the high quality of the clothes ensures that you would return to the establishment. The interior is classic and warm. Together, whilst enjoying a cup of espresso you can choose your required matching combination of clothes. The premises have large windows at the rear side, where you look over the lively canal, especially in the summer. There is also a quite area where one can sit and relax. Tailors & Co.work with the cutters on the premises, and when the final fitting is in process, any adjustments can be done at once. Materials are bought from all major European fabric establishments, amongst others are Loro Piana, John Cooper ,Holland & Sherry, and Ermenegildo Zegna. Alleen zondag's open elke eerste zondag van de maand: 13.00 - 17.00. Buiten regulieren tijden op afspraak.